Lilliputiens Anatole crocodile rolls up, soft cuddles and toys. FREE DELIVERY Benelux - Large choice Lilliputiens at Grote Schatten. Anatole rolls up is a guardian and activity cushion in one of Lilliputiens. 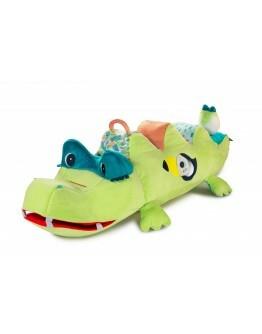 This edge protector for the park or bed is a cozy colored crocodile with all kinds of happy colors. Your baby or toddler will immediately be in the clouds. 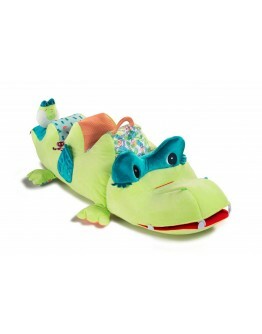 Your child will have a lot to discover with this crocodile because it is also an activity pillow. 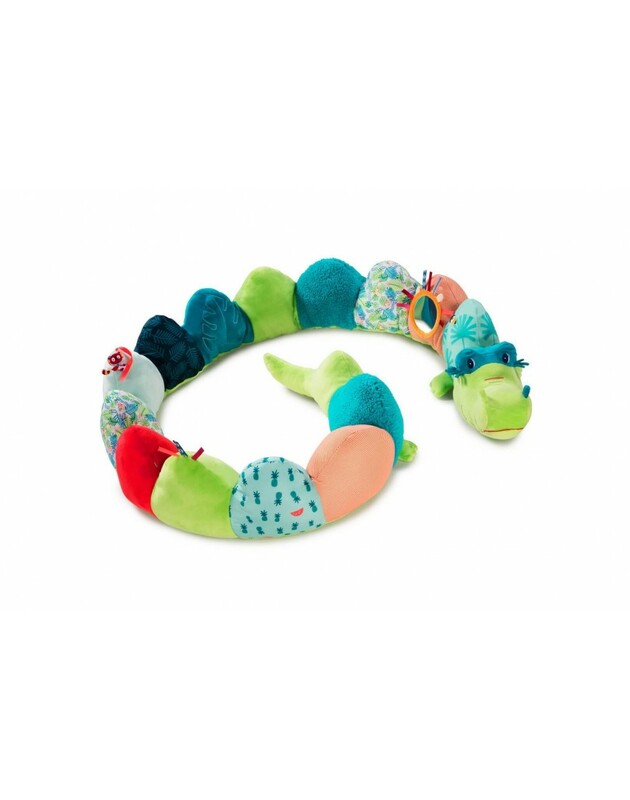 Anatole the crocodile will crackle and rattle as soon as your child touches this cuddle. Also nice is the mirror where your baby can quickly recognize and discover itself. Anatole a big and long baby hug where your little one can go on discovery and at the same time is protected by this soft cuddly crocodile. 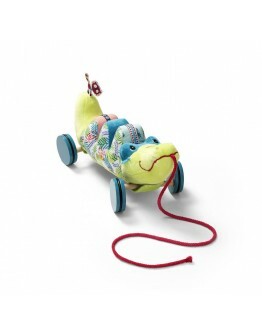 This Lilliputiens Anatole rolls on crocodile is a fun and original toy, let the fun just start! You can easily place Anatole the crocodile in the park, as it serves as a park revolver, so your baby or toddler can easily get support and your little one will sit firmly. With these toys from Lilliputiens your toddler will not get bored! This crocodile park protector is nicely combinable with the big hug Anatole of Lilliputiens. YOU WILL SCORE FOR SURE! LARGE STOCK AND CHOICE LILLIPUTIENS AVAILABLE AT GROTE SCHATTEN | ONLINE WEBSTORE FOR KIDS.